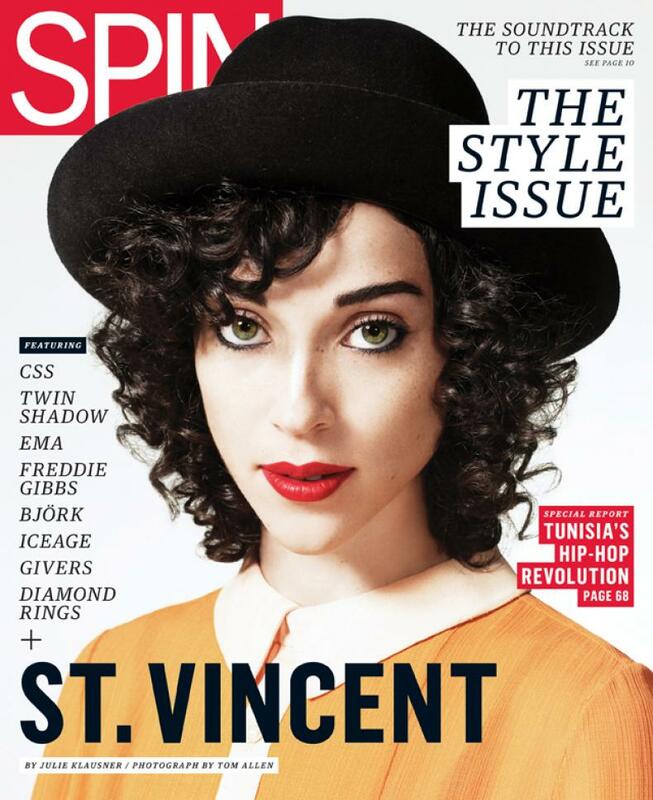 Dave Splash Dot Com: St. Vincent Is About To Hit the Big Time! St. Vincent Is About To Hit the Big Time! Pretty much my favorite artist of the last 3-4 years is St. Vincent. I first saw her as the opening act for The National at the Slowdown in Omaha. I had heard cuts from her debut album, Marry Me, and thought they were good. I did not become a borderline obsessed fan until after that concert. That show changed a few things for me, actually. After St. Vincent's amazing performance - alone on stage with just her guitar and digital gadgetry - I really "got" her record, and realized that there was no one out there in the vast indie rock universe that doing anything remotely similar to what she was doing. Beyond that, my opinion of The National was forever changed. They seemed so boring and predictable after St. Vincent's opening set, and I don't think I've liked them as much since that night. Sorry, guys. St. Vincent performing "Paris Is Burning" July 2007. I saw St. Vincent twice on tour in support of her second album, Actor. This time, she had a band in tow. The band was excellent, and the shows were even more exciting. The crowds, I had noticed, were getting larger each time I saw her. Without having to focus on so many things at once, Annie Clark (aka St. Vincent) was able to focus more on her guitar playing. It was obvious that she was talented that first night I saw her, but in this context, her playing seemed to go another level. St. Vincent on Austin City Limits performing "Marrow." St. Vincent is on the verge of releasing her third album, Strange Mercy. The first single, "Surgeon," is available for free at strangemercy.com. I think this may be the one that puts her over the top. Though her audience has primarily come from the indie world, St. Vincent's music has as much mainstream appeal as bands like Talking Heads did in their day. The eclectic mix of sounds and styles can put off less adventurous mainstream music listeners, when you add in her looks (sorry, I stated the obvious - she is a beautiful woman) and her tenacity, I think she will be one of those rare indie artists that crosses over. September 13 is the official release date for Strange Mercy. I command you to buy this record as soon as humanly possible.